Productivity growth has been lousy for the past years, but the situation might change fast. Digitalisation and several startups give promise of positive surprises. Renewal requires united efforts also. The growth of work productivity is slowly picking up worldwide, although the speed of it is still weak compared to the time before the financial crisis. The situation isn’t as clear in Finland. Our productivity growth took flight fast after the 10-year depression ended in 2016, but as the recovery continued, the growth died down again. Businesses’ new-found confidence to hire employees is the reason for this. In the short term, employment and its productivity are at opposite ends of the spectrum. The reason is mostly actuarial. When increased working hours are removed from the gdp growth, you are left with the production achieved in a working hour. As employment picks up fast, the productivity growth is weak for a while before the new work force perfects their new tasks. In the long term, faster productivity growth is essential to improve the standard of living as well as employment. Employment follows the productivity growth with a year lag . Without a positive productivity trend, employment won’t permanently rise. Unfortunately, the productivity outlook for the short term seems weak. At least the investment numbers aren’t looking promising. Machine and equipment investments with new and more productive technology are not a quarter higher compared to the time before the financial crisis like we still thought before the statistics update in August. They are only ten percent higher and haven’t grown in a year to our current knowledge. According to the latest information, the downwards trend of intangible investments (R&D), which are required in a digitising world, hasn’t come to a stop, even though the crash of the Nokia cluster has ended ages ago. In general, good export prospects encourage businesses to invest. At the moment there’s a cloud on the export sky. The world economic growth is slowing down and that is lowering the eagerness to invest in Finland also. In addition, the income levels have been rising faster than productivity and that has affected our price competitiveness negatively after a good year of the Competitiveness Pact. Nor has the record high euro helped. Fortunately, the future always holds surprises. There’s a particularly high amount of engineering technologists, freed from the Nokia cluster, in Finland. Although unicorns have been a rare sight so far, in a short while, we could have startups that we can’t yet see today. The second hope for the future is digitalisation that creates new investing needs as this universal invention cultivates into concreteinnovations. It is impossible to predict what shape will the logistic curve of innovations take. There’s a special incentive in Finland to invest on digitalisation. The aging population threatens to reduce the labour force. If successful, robots that are more productive than human labour, will come to our rescue and the economic growth can continue. Studies have shown that countries, that have an aging population, have also invested in robotics more than others. Our standard of living is completely dependent on productivity growth. All the projects that advance starting new businesses and the renewal of existing companies are particularly important for Finland to pick up the slow productivity growth again. 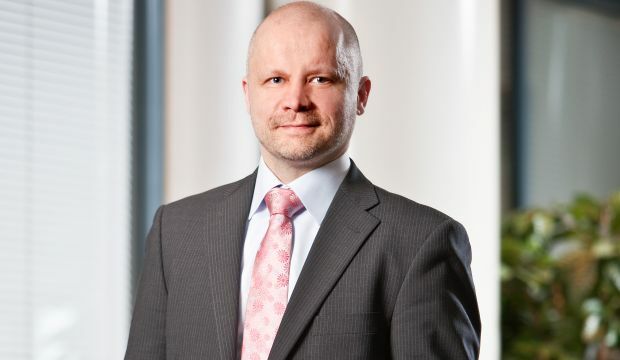 Aki Kangasharju will open AlihankintaHEAT-event on Tuesday, 25th of September, in the Tampere Exhibition and Sports Centre with a speech “The economic outlook and productivity and startups in the future industries”. (The speech is in Finnish). You are welcome to join the opening morning of Subcontracting Trade Fair from 10 a.m. onwards. Program in Finnish: www.alihankinta.fi/heatohjelma.